The Costa Smeralda is a corner of paradise that stretches for 55 kms of coastline from the Rena Bianca beach at Portisco near the city of Olbia to Pitrizza near the town of Arzachena. The Costa Smeralda is considered by many to be the brightest jewel in the crown of that region of Sardinia called Gallura, a jewel born of the so-called Monti di Mola, a land that was once unspoilt and which boasted pure white beaches and waters in an infinity of hues ranging from emerald green to turquoise blue that fifty years ago bewitched the Prince Aga Khan. The story of the Costa Smeralda started during the early 1960s when just like in a fairy story, a prince from faraway fell in love with a fabulous land. A wild land, inaccessible and impenetrable, dotted with shepherd’s huts and connected to the bigger towns by just two dirt tracks, Olbia –Palau –Santa Teresa Gallura and Tempio –Palau. The rest is history. From the moment the Prince took over the reins of the Consorzio Costa Smeralda, the projects produced by his entourage (formed by far-sighted and forward-looking “dreamers”) led to the creation of something that was original and inimitable. 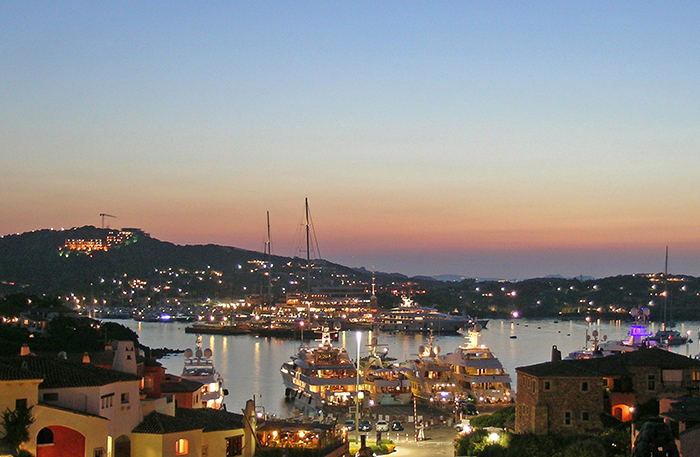 A village inserted into a landscape where nature ruled (and still does today), an unmistakable architectural gem bearing the hallmark of the greatest artists of the time and a unique style which have made the Costa Smeralda one of the most famous tourist destinations in the world. The nature found in Gallura was the inspirational muse for those who gave birth to the Costa Smeralda, and Delphina’s hotels and resorts, set along the coast from Badesi to the Costa Smeralda are the result of the same source of inspiration, intelligently and carefully inserted into the landscape and constructed with complete respect for the island’s native vegetation and greenery. The Costa Smeralda style is unmistakable. Imaginative rounded shapes, natural materials, bright colours, granite and … luxury – even today these still create the same atmosphere that inspired those who developed it fifty years ago. 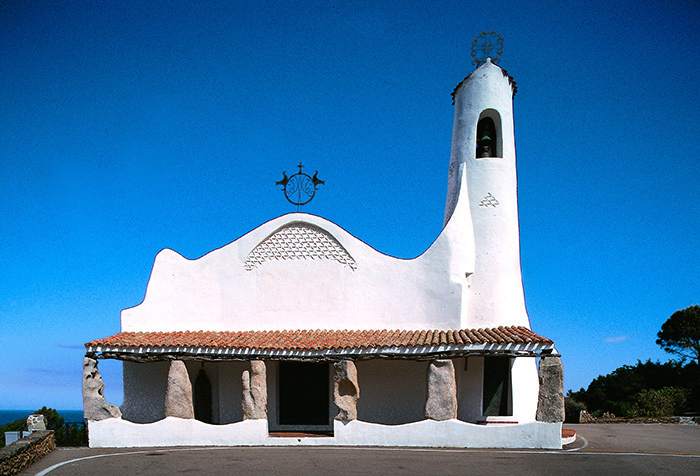 One of the most impressive pieces of architecture on the Costa Smeralda is the little Stella Maris church in Porto Cervo, an obligatory stop-off during the Delphina “Porto Cervo Sunset” excursion. The work of the architect Busiri Vici and an example of modern architecture, it was built with local materials. The green granite floor is enchanting, as are the juniper wood benches. Little villages by the sea, exclusive squares and narrow alleys are still today the haunts of the international jet set and VIPs from all over the world, regular visitors to the exclusive Costa Smeralda nightspots and boutiques in Porto Cervo. 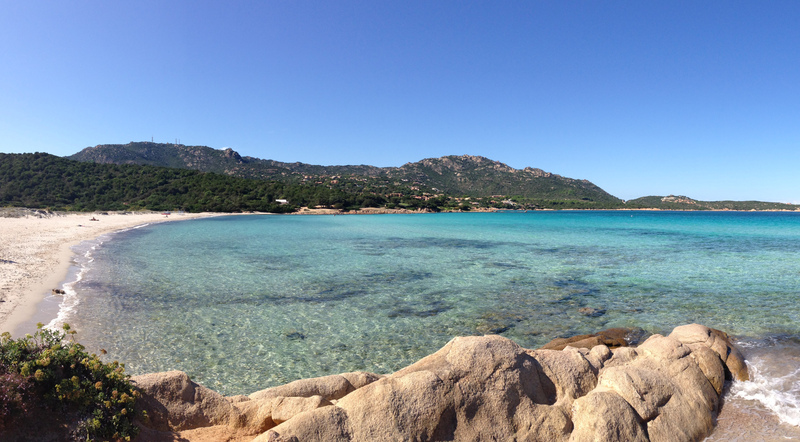 The beaches on the Costa Smeralda are pearls of rare beauty and definitely places in Sardinia to visit. One of the most beautiful beaches on the Costa Smeralda is the spiaggia del Principe or Prince’s beach, so called because it was said to be the Aga Khan’s favourite. This is a beach that has to be seen in order to experience the beautiful colours of the sea, the pink granite and the Mediterranean vegetation that all come together in a natural masterpiece. The whole east coast of Gallura is dotted with dream beaches and hidden coves, easily reachable from the Resort Cala di Falco in Cannigione. From this little town at the gateway to the Costa Smeralda, it takes just a few minutes to arrive at Liscia di Vacca and the Cala Granu beach with its sandy white sand and shallow water which make it ideal for families on holiday with children. Also not to be missed are the beaches of Porto Cervo, the most exclusive resort on the Costa Smeralda – Romazzino, Capriccioli and La Celvia are oases of almost surreal purity, hidden in the thick vegetation and intoxicating with their scents of heather and rosemary. Heading towards Olbia, you come to the beaches of Liscia Ruja, sheltered from the wind by the Romazzino peninsular and Petra Ruja, the most desolate beach on the Costa Smeralda which looks out over the little islands of Mortorio, Soffi and Camere (La Maddalena Archipelago). The second most important centre is Porto Rotondo which has the advantage of being close to the semicircular stretch of fine white sand and emerald green sea of Rena Bianca, the Southern-most point of the Costa Smeralda. However, even the beaches of Marinella and Spiaggia Ira are among the most attractive in Gallura and are certainly worth a visit at least once during your holidays in Sardinia. 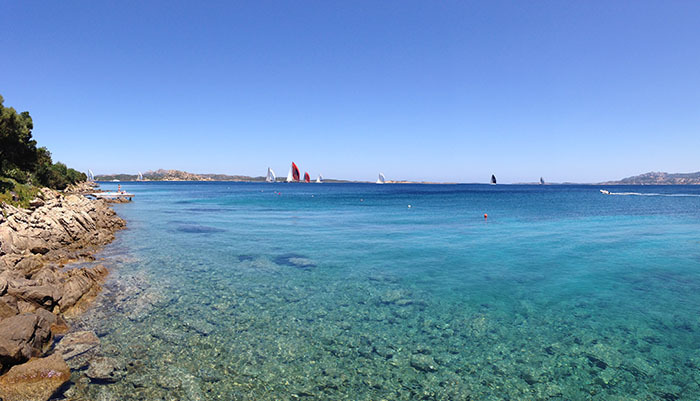 In 1975 the Sydney Daily Telegraph described the Porto Cervo regatta course as “A sailing paradise” and since then an ever-increasing number of boats have competed on the splendid waters between the Costa Smeralda and the La Maddalena Archipelago. Every year from May to September the best yachts in the world and their internationally famous teams compete on the stretch of sea in front of the Hotel Capo d’Orso in Palau while the Maxi Yacht Rolex Cup, the Piana Superyacht Regatta and the Audi Settimana delle Bocche are just a few of the events that guarantee an exciting and action-packed calendar of regattas during the North Sardinia summer. 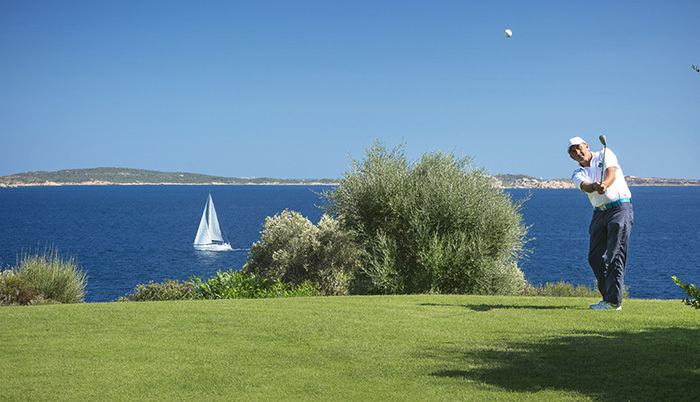 Costa Smeralda also means Golf. The Pevero Golf Club, an 18-hole golf course overlooking the sea and surrounded by Mediterranean vegetation is one of the 50 most important golf courses in the world. Delphina offers preferential terms on green fees at the Pevero Golf Club and the Sperone Golf Club in Corsica for guests at the 5 star Hotel Capo d’Orso in Palau which also boasts its own 9 hole Pitch & Putt golf course with 180° views from the La Maddalena Archipelago to Baja Sardinia.